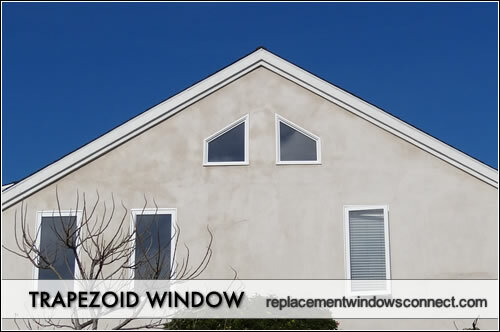 Trapezoid windows are specialty options that are made in the shape of trapezoids where two sides are straight and parallel to one another, while the other two sides are slanted. Typically, it is the top edge that is slanted. They are less common windows than double hungs or even circle windows and can add real visual appeal to a wall or section of a home. Trapezoid windows are simply windows in the shape of trapedzoids – two opposing sides parallel, the other opposing sides are not. In most cases, it is the top edge which is slanted but there are certainly examples of trapezoid windows where the top and bottom are parallel while both of the sides are slanted into one another. They differ from arched windows in that they have no curves to them – they simply are not a square or rectangle like most types of windows. They are available in many materials, but are probably most common as either vinyl or wood clad. Because they are often custom made, the Read more on what prices therefore are usually very high and installation on anything custom is going to follow suit because they will not to be custom fitted into the opening – possibly requiring carpentry etc. Visually, trapezoid windows can be quite striking. They are often large and have such a distinct look to that they bring lots of attention to themselves. Of course, some homeowners choose to use small versions as accent pieces where there is a series of trapezoid windows lined up under an eave for instance. Because these windows tend to be large and are often placed high on a wall, they are fantastic for producing lots of natural light. When up high, they don’t infringe on a homeowner’s privacy by allowing the world outside to see in. 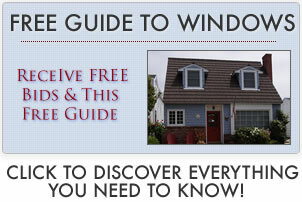 They are great additions to rooms or areas of a home that is dark or feels closed in. These are often custom windows and many times they are quite large because they are used as “centerpiece” windows that focus attention on a side of a home. This means a heavy price tag, but for homeowners who like how they look, they are worth every penny.